Chennai, April 16: The Lok Sabha polls in Vellore, scheduled to be contested in the second phase on April 18, has been cancelled. The Election Commission had sent a proposal to call off the polls to the President a day earlier, after a massive cash haul at premises linked to DMK candidate Kathir Anand. The proposal has been accepted, leading to the postponement of polls in the constituency. The new voting dates will be announced later. The raids against Anand were conducted by the Income Tax department, which has also registered a case against the DMK leader with the district police. 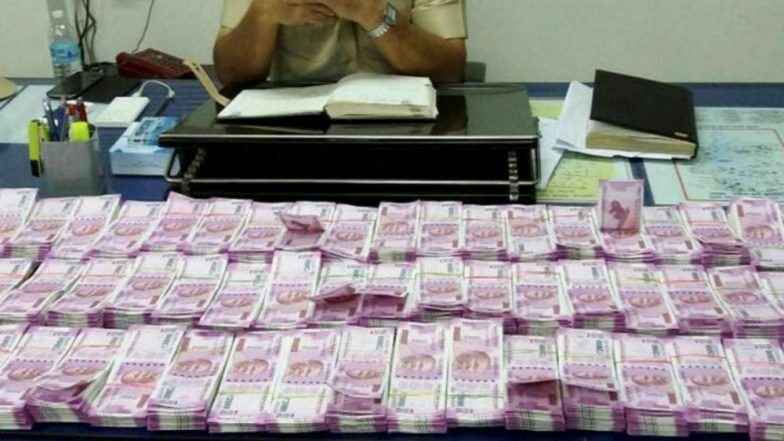 Cash Seizures Double Vis-a-Vis 2014, EC Confiscating Rs 100 Crores in Raids Per Day. This was followed by another crackdown at his associate, from where the I-T sleuths confiscated nearly Rs 11 crore in cash. The case against Anand has been registered under the Representation of People Act, on the charge of disclosing incorrect information related to his assets in the election affidavit. Murugan has denied the charges levelled against his son, claiming that he had not concealed anything from the polling body. The DMK veteran has also questioned the timing of the I-T raids, alleging that it has been carried out on the behest of the BJP-AIADMK alliance.